Dhaka, 15 Jan, Abnews: State Minister for Labour and Employment Mujibul Haque Chunnu yesterday said the government has formed a new wage board to review the existing wages of the garment industry workers. "The government has announced a new wage board for the ready-made garment industry workers. The board will submit recommendations within the next six months after scrutinizing the present salary structure of the RMG workers. The minimum wages will then be announced by next December," he said. Mujibul told this at a press conference at the secretariat yesterday. Earlier, Bangladesh Garment Manufacturers and Exporters Association (BGMEA) made a request to form the wage board. BGMEA President Siddiqur Rahman has been included in the Wage Board as the representative from the owners while Women's Affairs Secretary of Jatiya Sramik League Shamsunnahar Bhuiyan has been included as the representative from the workers along with four other permanent members, said the state minister. 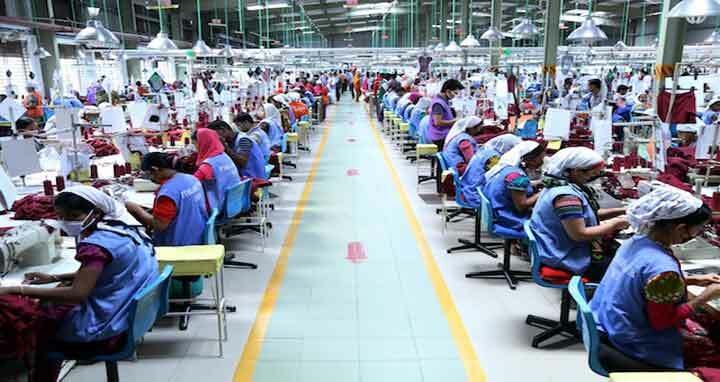 The government, he said, has included a female worker representative in the new wage board since the women workers account for 70-75 percent of the overall workers at the RMG industry. Besides, the female worker representative in the wage board is also expected to look into the interests of other workers, Mujibul added. Acting Labour and Employment Ministry Secretary Afroza Khan, former FBCCI president AK Azad were present, among others, at the briefing.